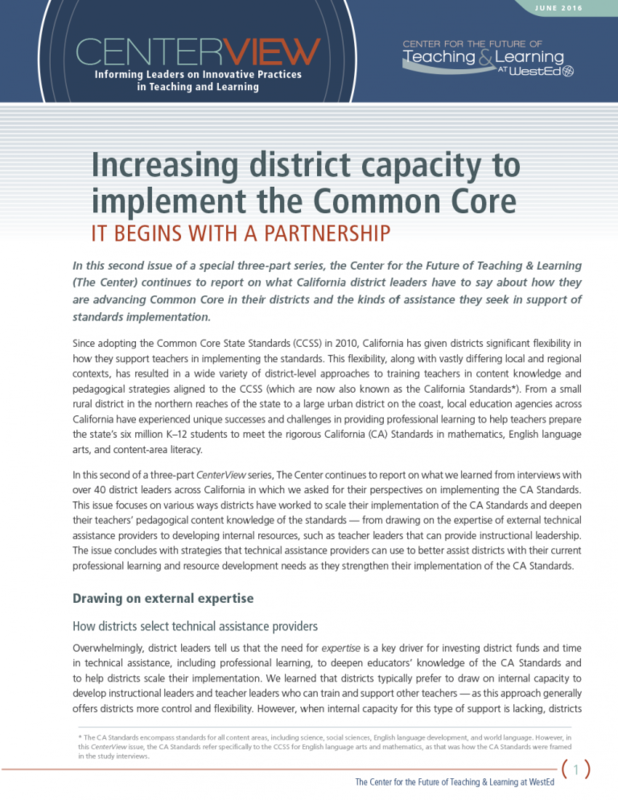 Teacher leaders are well-positioned to influence positive instructional change in other teachers’ practices and can be even more impactful when equipped with tools that help them lead productive professional learning experiences. 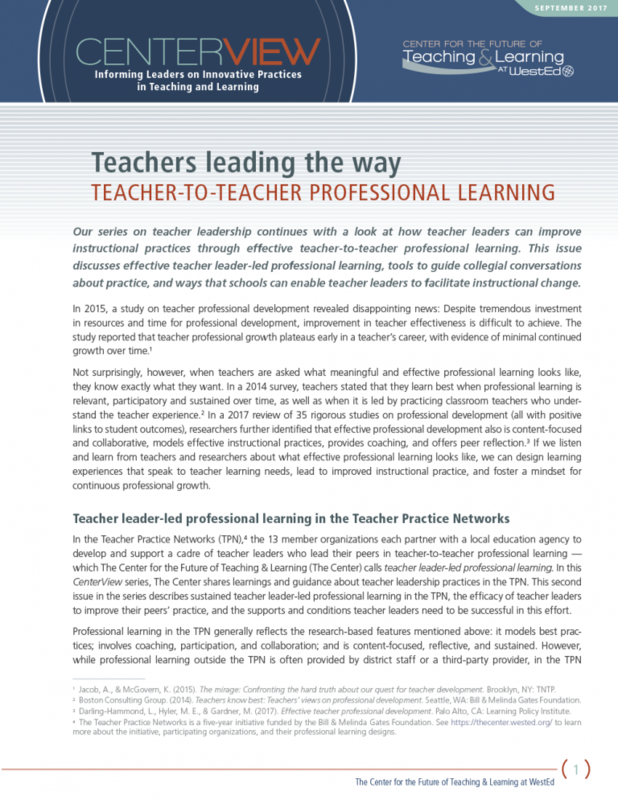 In Teacher Practice Networks (TPN), an initiative of the Center for the Future of Teaching & Learning at WestEd, teacher leaders lead sustained, professional learning to advance K–12 instructional practices aligned to college- and career-readiness standards. 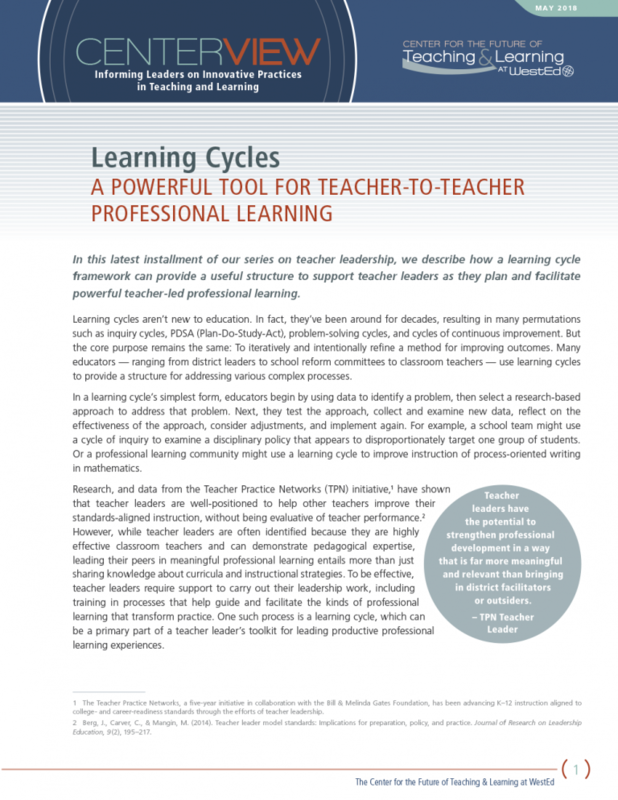 Multi-year data from the TPN indicates how a learning cycle helps teacher leaders intentionally plan effective professional learning with activities that engage other teachers in learning new content, applying it in practice, reflecting on implementation, reiterating lessons, and refining instruction. How a learning cycle framework provides structure to teacher-to-teacher professional learning. How teacher reflective habits can be fostered throughout all phases of a learning cycle. Tips for teacher leaders and school administrators to establishing a healthy climate that supports teacher reflection and growth. 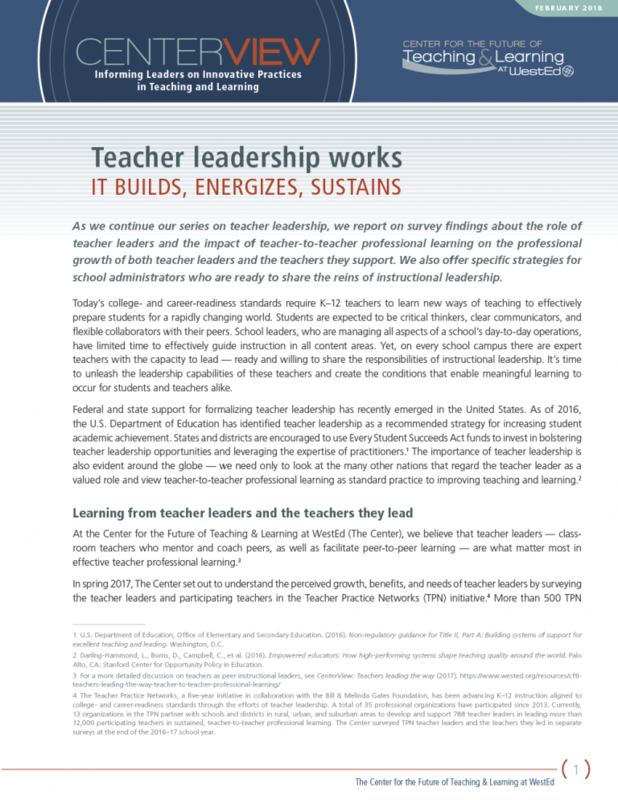 This issue is part of a CenterView series on teacher leadership in the TPN initiative. Download other issues in this series. Visit the Center for the Future of Teaching & Learning at WestEd for more information.